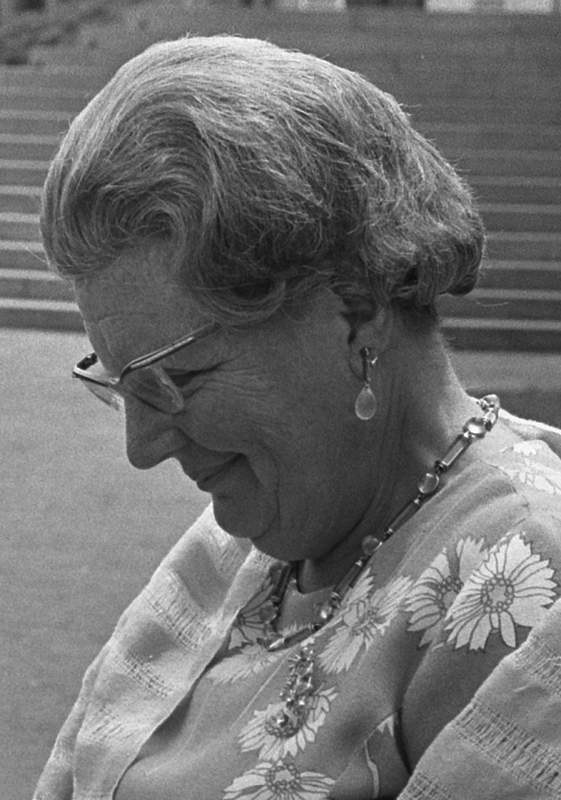 Our Magpie of the Month, Queen Juliana of the Netherlands, had numerous suites of glittering royal jewels at her disposal, but her collection also included sets more suited for everyday wear. Today's collection, her jewels set with rose quartz, fall into the latter category. 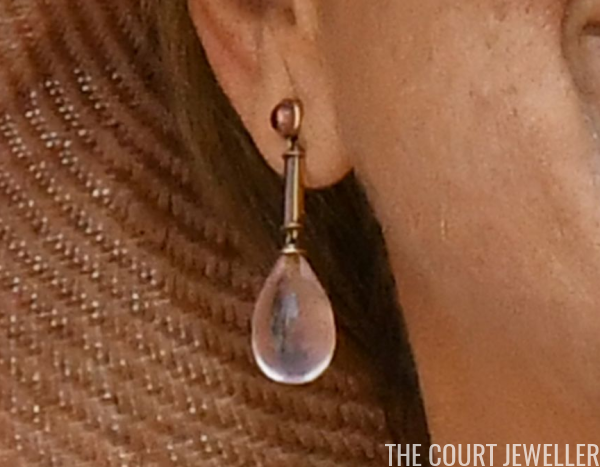 Juliana's rose quartz set includes a pair of drop earrings, a necklace, and a brooch with a gold ribbon detail. 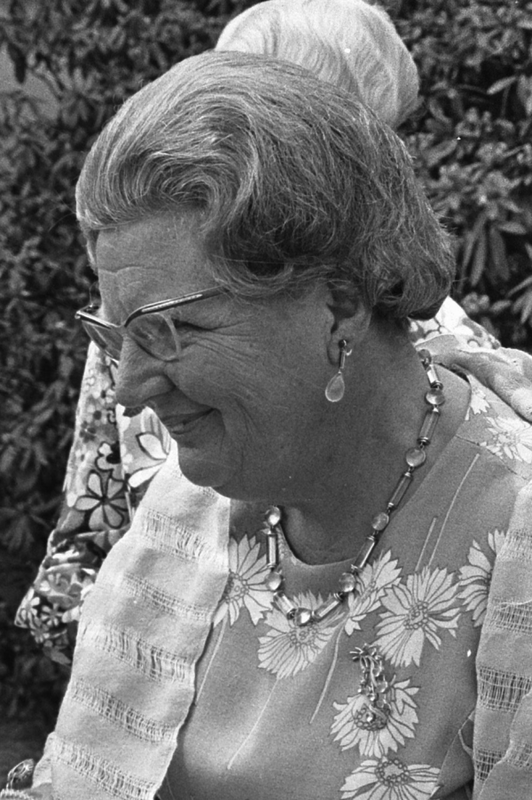 The set appears to be an example of midcentury design, and above, Juliana wears the set in June 1970 in Utrecht. This color photograph of the earrings gives you a good idea of the pink color of the jewels, as well as the suite's gold setting. 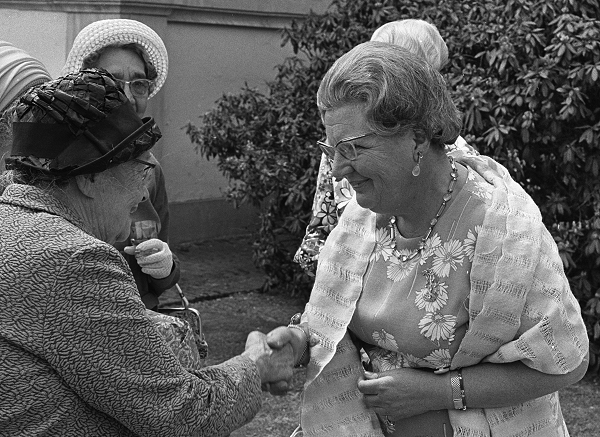 This image, also from the same June 1970 appearance in Utrecht, shows the suite's necklace in better detail. The intricate design of the brooch gets a bit lost here against Juliana's printed dress. 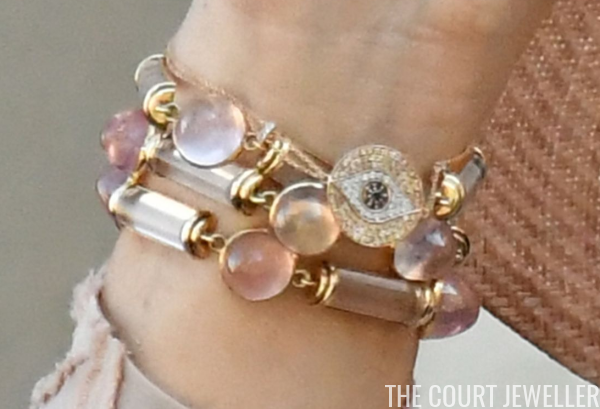 The rose quartz suite is now worn most often by Queen Maxima, including a notable appearance during her visit to Rome in 2017. 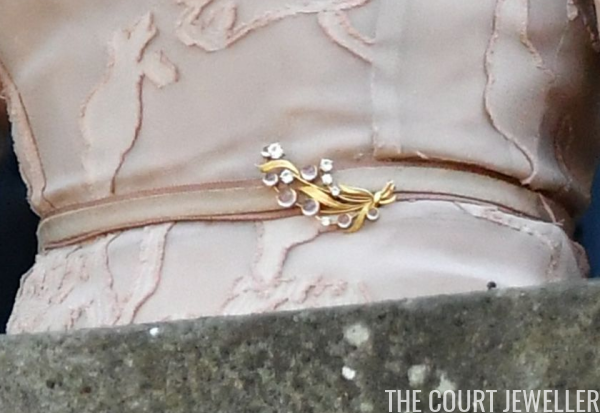 And we get a good look at the brooch from the suite in these color images, showing the golden ribbon design twisted through the rose quartz stones. 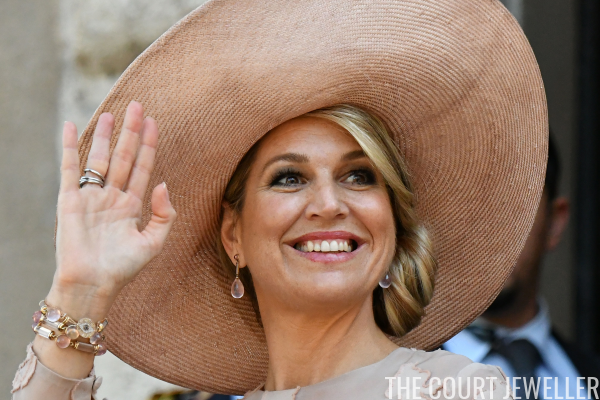 As she has often done, Maxima chose to wear the brooch on the belt of her dress during the 2017 Rome visit.